News organisations have tried many novel ways to make readers pay - but this idea is possibly the most audacious yet. 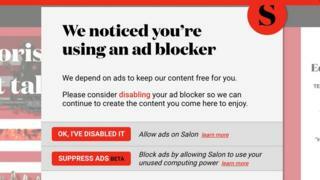 If a reader chooses to block its advertising, US publication Salon will use that person's computer to mine for Monero, a cryptocurrency similar to Bitcoin. Creating new tokens of a cryptocurrency typically requires complex calculations that use up a lot of computing power. Salon told readers: "We intend to use a small percentage of your spare processing power to contribute to the advancement of technological discovery, evolution and innovation." The site is making use of CoinHive, a controversial mining tool that was recently used in an attack involving government websites in the UK, US and elsewhere. However, unlike that incident, where hackers took control of visitors' computers to mine cryptocurrency, Salon notifies users and requires them to agree before the tool begins mining. "I've opted-in to Salon's new revenue model using Coinhive," wrote security researcher Troy Mursch. "100% of my CPU [central processing unit] is now used by them to mine cryptocurrency. As my computer slows to crawl and quickly begins to heat up, I struggle to navigate their website." The approach harnesses a computer's spare processing power when the user is browsing Salon.com after a user accepts a prompt asking for permission. Shortly after, the computer is put to work. Readers will likely hear their machine's cooling fans kick into action, and it will use more power. In a Frequently Asked Questions page on its website, Salon told readers the idea was part of a trial. "For our beta program, we’ll start by applying your processing power to mine cryptocurrencies to recoup lost ad revenue when you use an ad blocker," the company said. "We plan to further use any learnings from this to help support the evolution and growth of blockchain technology, digital currencies and other ways to better service the value exchange between content and user contribution." Many internet users decide to install ad-blocking software to hide ads that appear within websites. However, for many companies, advertising is the only way to make money from readers. 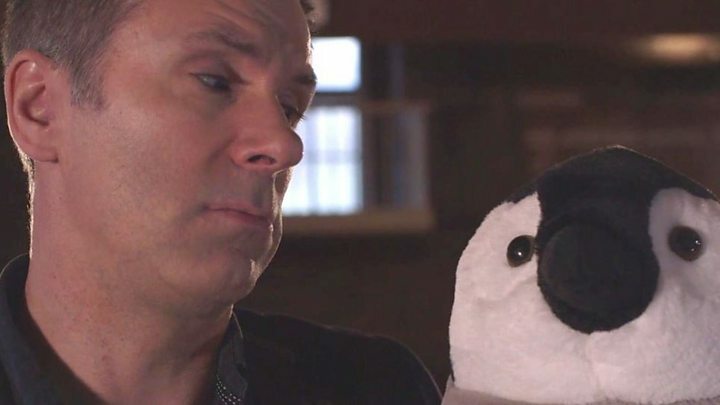 Several publications have experimented with ways around this, the most successful being complete paywalls - where users must pay a subscription to access the site - or metered systems where after a certain number of articles are accessed, the user must pay to carry on reading. News site Wired predicted that around 20% of its readers accessed the site using ad blockers, and so restricted the number of articles those readers saw unless Wired was added to a whitelist that would let advertising through.